This stunning new construction home will take your breath away with the details! The kitchen houses stunning painted cabinets and a convenient center island. With ample cabinetry and a kitchen pantry - storage is bountiful! 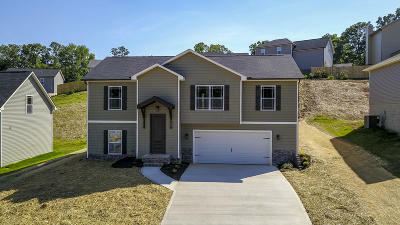 On the main level, you will find the master bedroom with a large walk in closet, 2 additional bedrooms and 2 full baths. In the basement you walk out into a large family/bonus room perfect for entertaining or relaxing, there is also an additional bedroom and bathroom! Additional standard features include round dry wall corners, 6'' baseboards, wood trimmed windows, LED lighting, etc.